I proudly present the Lowlander. Yeah! This thing has character! 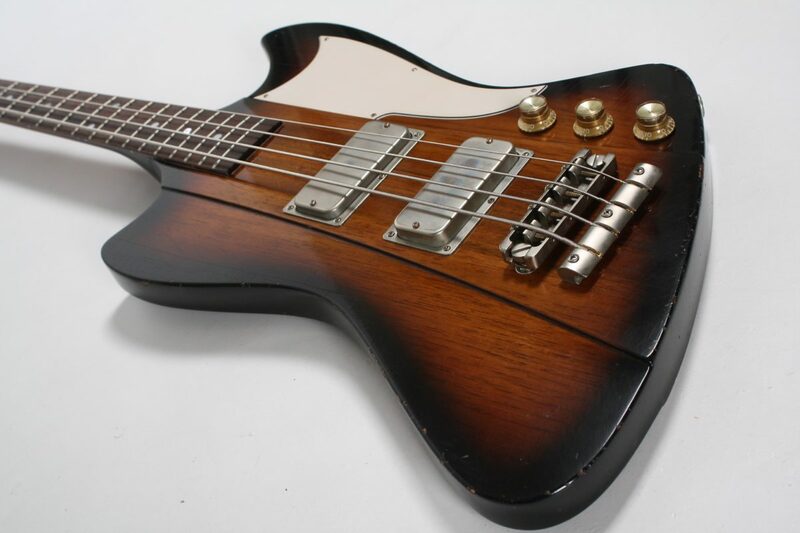 It has that vintage thunder, that made the T-bird famous. The overall sound is fat, thick and growly. Or better call it dirty. The pickups sound direct and punchy, with a huge low end. The cedar wood adds a surprisingly warm and versatile touch. Yet it’s not just thunder, it also has some lightning. There’s enough clarity in the sound to make Fender lovers turn their heads. 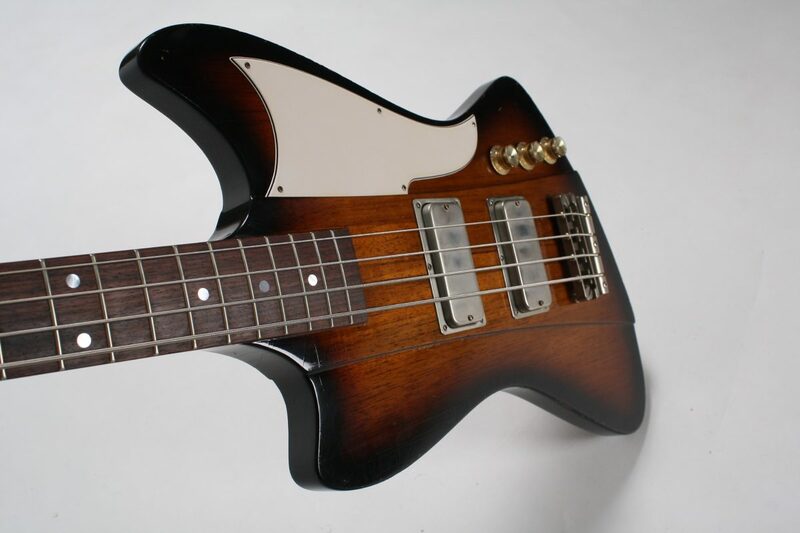 This bass is a delicate blend of vintage character and some modern adjustments. The modern adjustments are hidden in the construction. 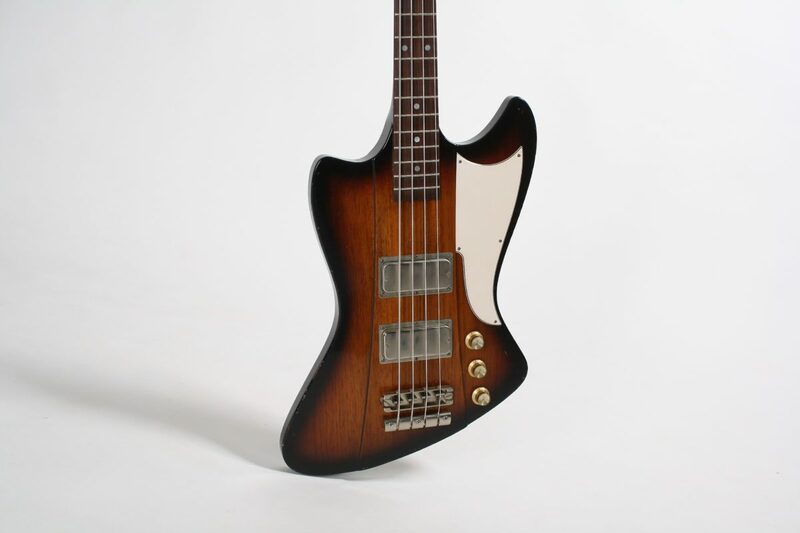 The vintage character mostly has to do with looks, sound and playability. Like any neckthrough there is a natural compression which makes it very suitable for playing with a pick. With help of some friends I was able to get exact measurements from several vintage T-birds. If anything can be learned from that, it is that there was hardly a standard for dimensions in the 60’s. The measurements varied wildly. Which is cool, because I wanted to do my own thing in the first place. It gave me at least some sort of loose referencepoint. 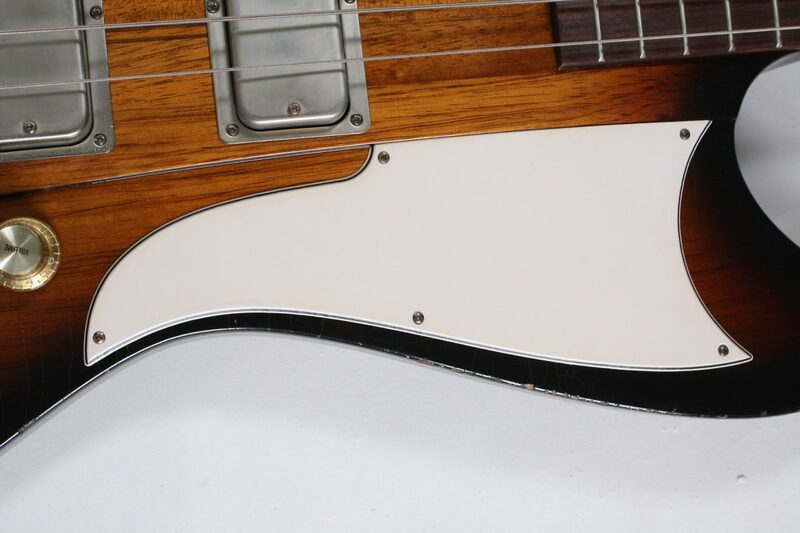 One of the most prominent features is of course the 9 ply neckthrough. 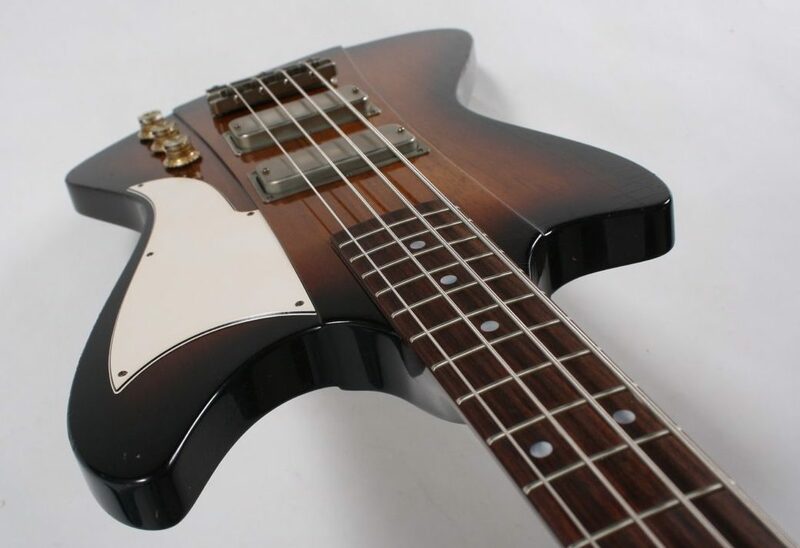 It is a rigid contruction for a bassneck, it gives a very solid feel to the whole bass. It is this massive core that helps to bring out it’s distinctive sound. 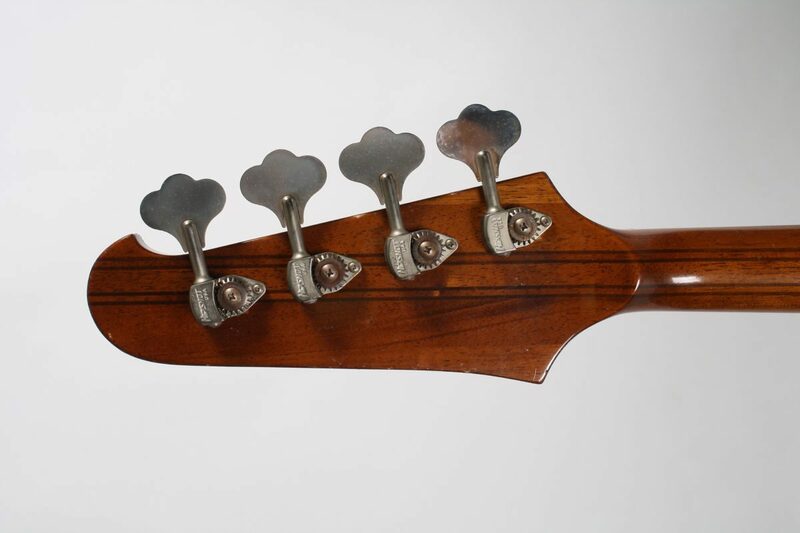 However, it is a fact that most Birds sooner or later suffer from a broken headstock. 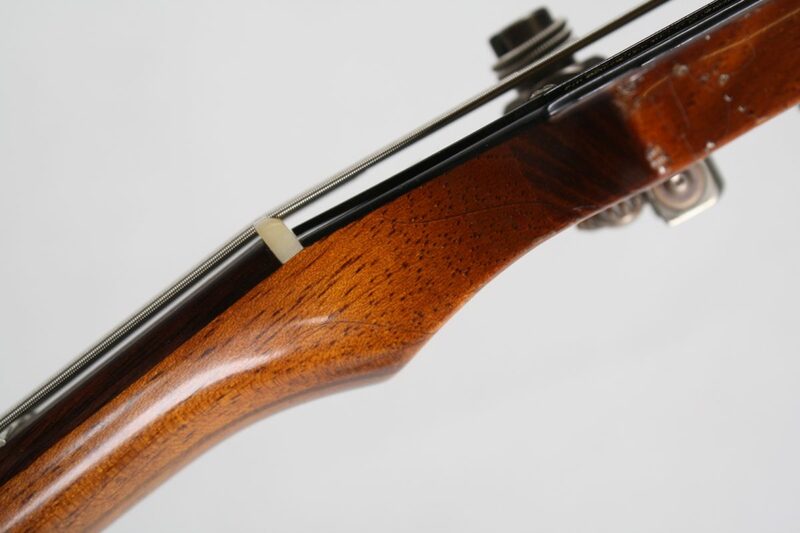 That part of the neck is a real weak spot, because of the large headstock angle and the trussrod routing, all at the point where the neck is thinnest. Here I’ve made some improvements with the Lowlander. Lowlander has less of a headstockangle. Enough angle to create some stringpressure in the nut. But not so much that it becomes vulnerable. 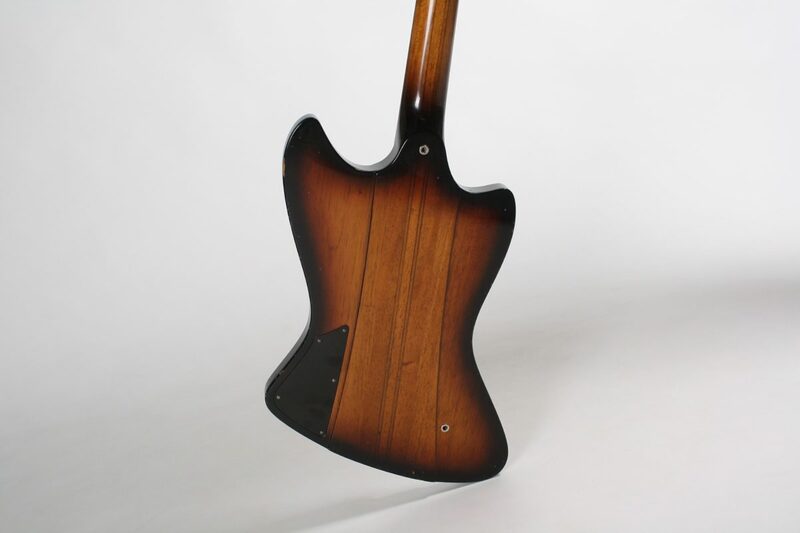 I also made the headstock a little thicker. Simply put, more wood means more strength. 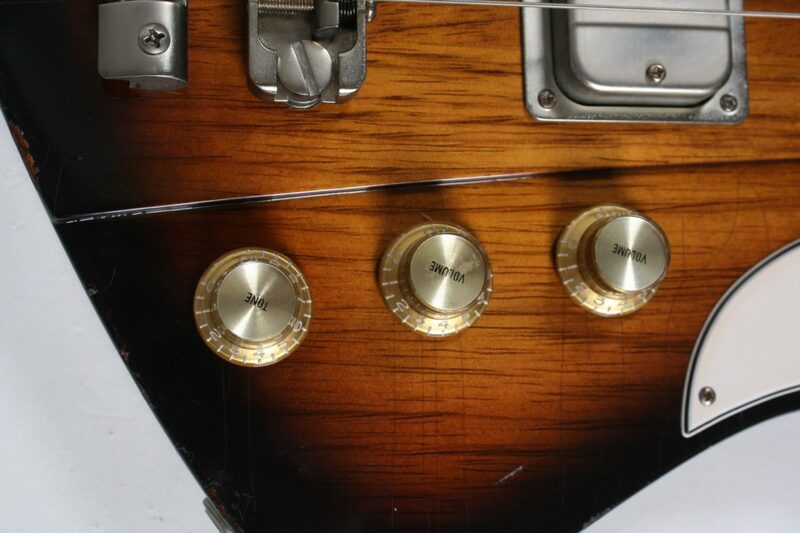 It is well known that headstockmass has a huge influence on the tone. Then I gave the neck a volute, to add more mass. And I routed the channel to access the trussrod as narrow as possible, in order to remove as little wood in this weak area as possible. All this results in more wood in this weak spot, or less chance of a crack. But there is more. I have used carbon fiber inside my necks for many years. 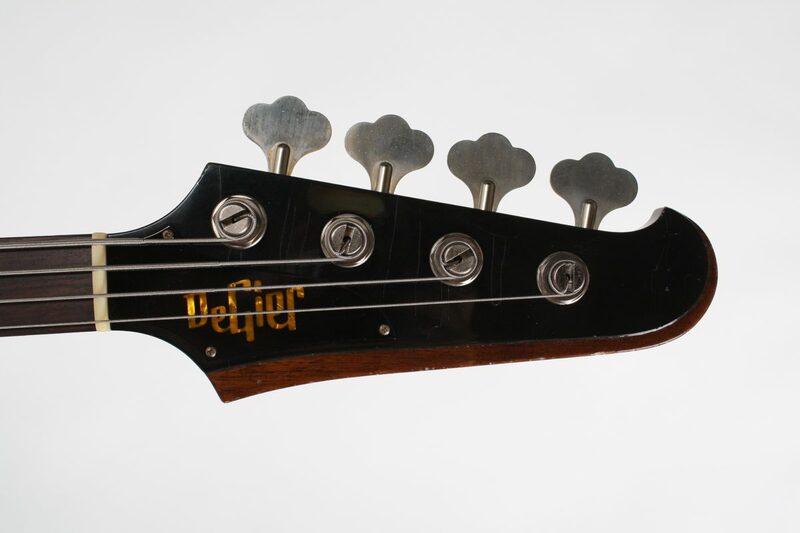 For Lowlander I designed a construction whereby the specially designed rods extend into the headstock. Another major increase in stability of headstock joint. I believe that all these improvements combined make a much stronger neck than a tradition 9 ply neck. And I also think there is a better quality of sound. There is more to tell about the neck. The scale is 34-3/8 inch, like the originals. This creates a slight increase in tension, which translates into a little more punch and definition. I use cnc-technique to rout my fret slots in a very precise way, that allows more woodfibers to remain intact than with traditional fretslots. The result is a huge (yes huge) increase in stability of the neck. And that again translates into quality of tone. 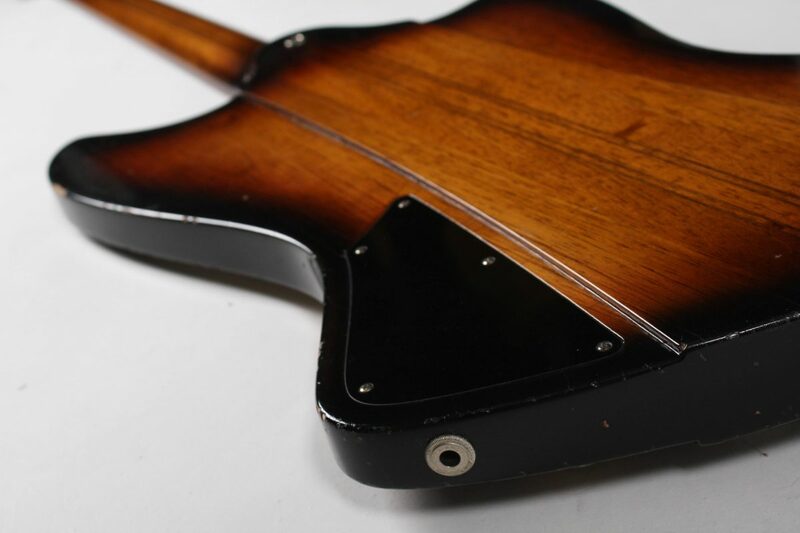 All these features of the neck are construction details. Most of them are no longer visible when the bass is ready. Why do I tell them? 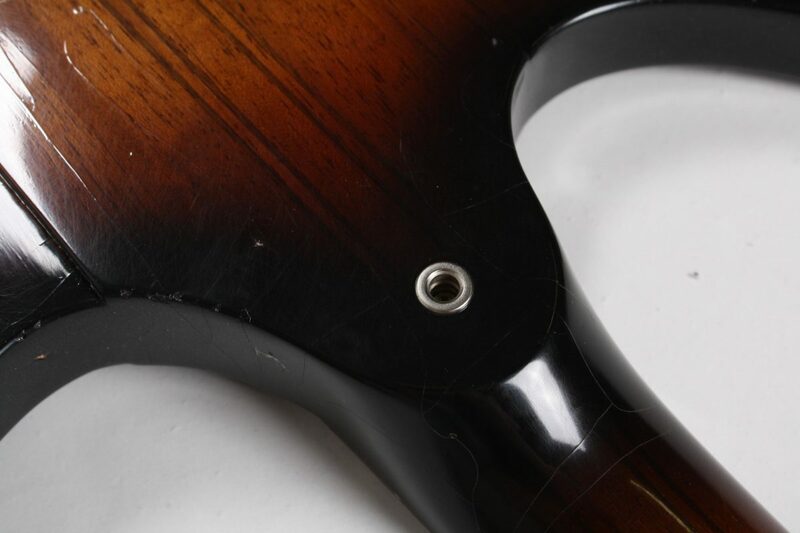 Because these are the details that make this a high end bass. 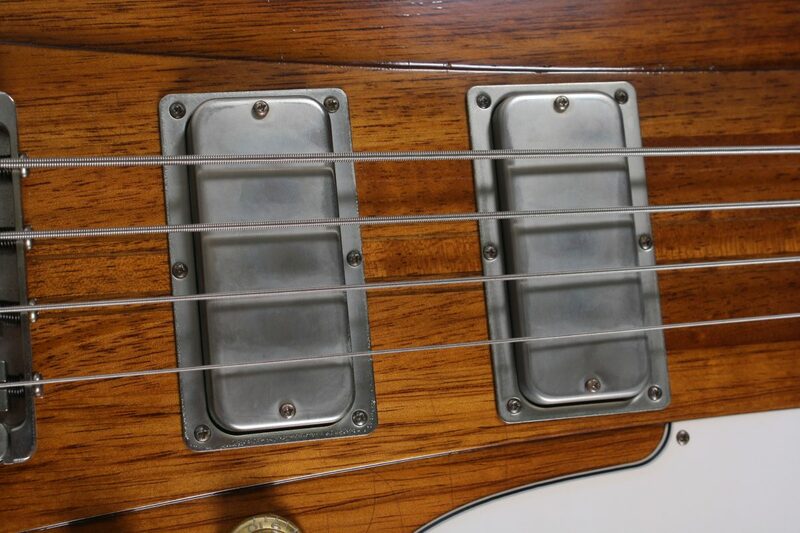 These are factors in creating good tone, and reliable playability. 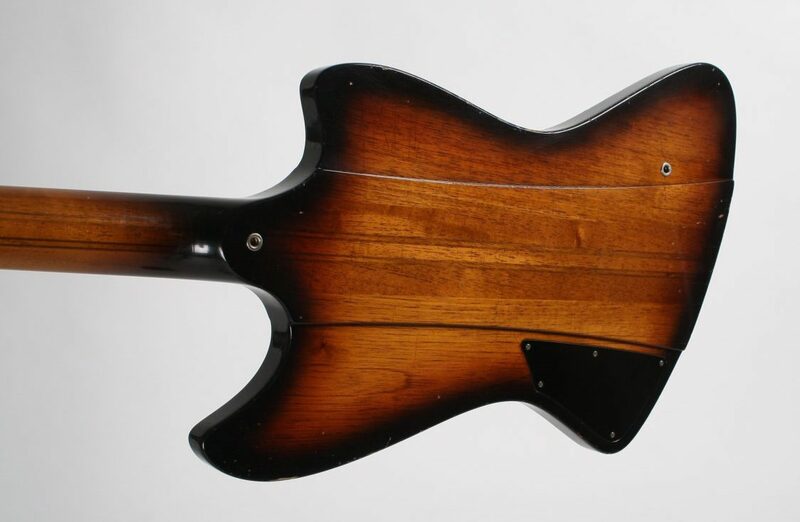 I think the neck is the most important factor in bassbuilding. My wood of choice is Cedrela, or Spanish Cedar. 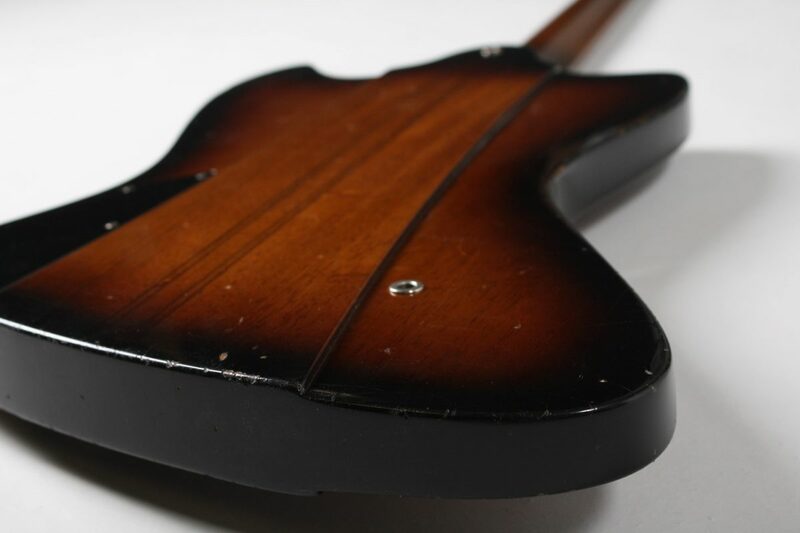 Many guitarmakers use it as a replacement for mahogany, for 2 reasons. First, it is much lighter. Second, the sound is much like mahogany, but with added brightness. It gives the ‘mahogany-sound’ a little extra liveliness and acoustic quality, and a less harsh character, making it more versatile. The lighter weight is comfortable, and it also helps to create a better balance. The biggest complaint about a T-bird is the balance. The Lowlander has no neckdive. Weight helps, light weight tuners help, but the real solution is to locate the lower strapbutton to a clever position. This way the strap no longer lifts the body to the point of neckdive. And it also shifts the body to a more comfortable position so that the neck doesn’t feel extended, but in close range to common neckpositions. I am really proud of the design. The sound is vintage with attitude, the looks are classic, the feel is comfortable and the contruction is much improved. 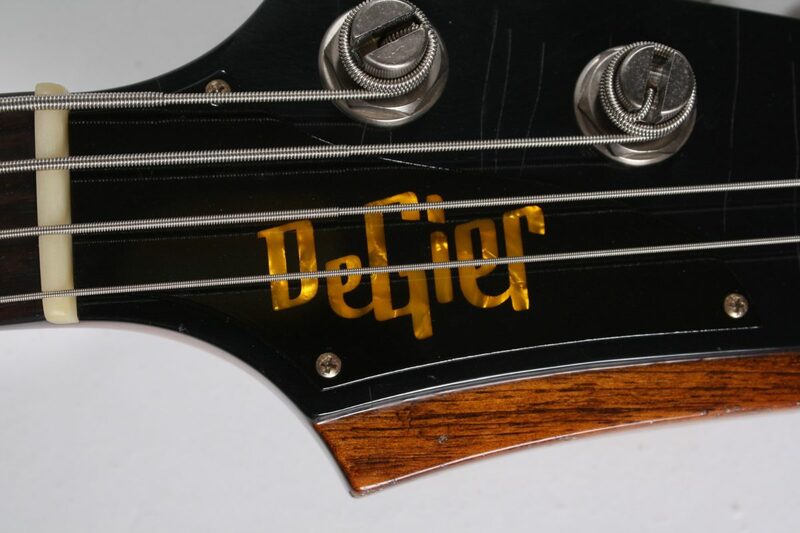 I also designed a custom logo especially for this bass. 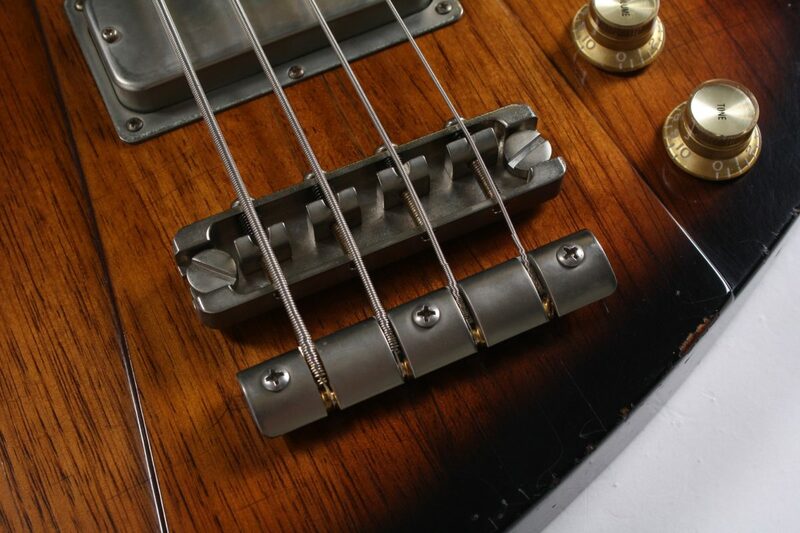 I could go on about many other details, like frets, pickups, controls, nut, fingerboard radius, side jack, pots, string spacing, bridge and tailpiece, trussrod, dimensions, etc. But I might start to sound like a freak by then. So I’ll leave it at this. Lastly, the big question: how much? Lowlander willl have a baseprice of 2895 euro. There are custom options that raise the price accordingly. The good news is: for every order placed in 2017 I will give a discount of 500 euro! So the introduction price for fall 2017 will be 2395 euro. If there is enough interest I’ll develop a 5 string too. Prices are including 21% VAT. Customers outside the EU can deduct this VAT from the total amount. We always have some instruments in stock. We do this to serve our customers who first want to try out a few guitars or basses before they decide. The Lowlander can be configured online. Several custom options can be selected in our order form. After submitting this form, you will receive an email with a confirmation and payment details within 24 hours (workdays). Any other custom option not in this list is available upon request.